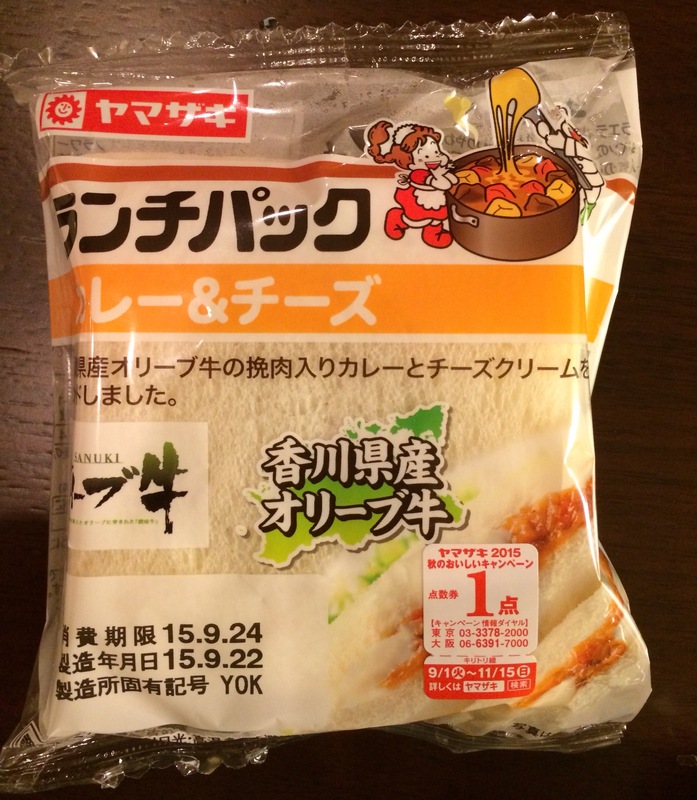 As promised, we’re back with the last two entries from the Yamazaki ‘Lunch-Pack’ Shop. 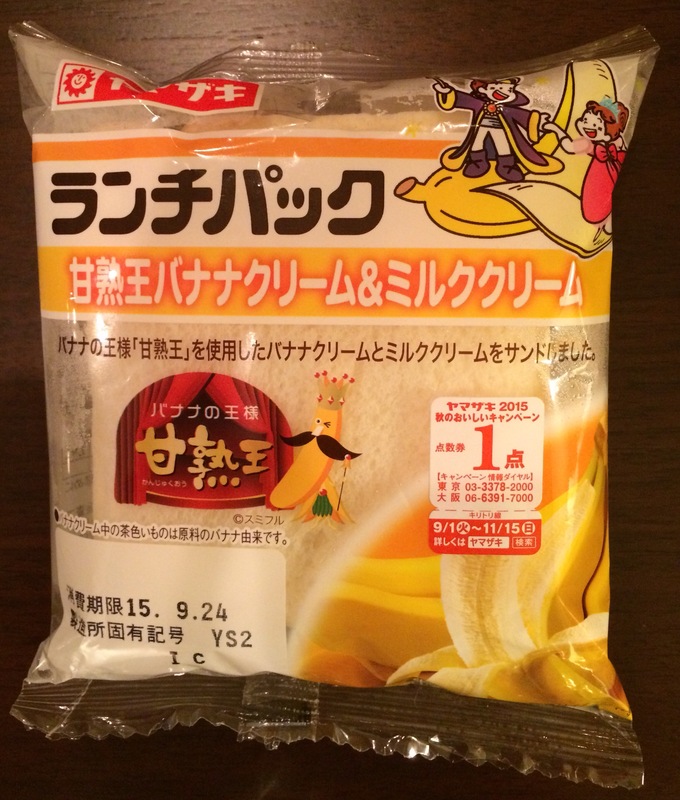 We will start with Potato Croquette flavor. This one is basically a hashbrown patty embedded in the soft white bread packet. Per the usual, we toasted this one up and it delivered just as expected…serviceable and solid, but no wow. Saving the best for last, here we have Beef & Cheese! This one is downright delicious. The flavors are true and rich; balancing well with the bread. Just the right amount of meat and sauce; not too much filling and not too much bread. Kinda hungry for another one just writing about it. This entry was posted in food, mike on October 2, 2015 by jules453. 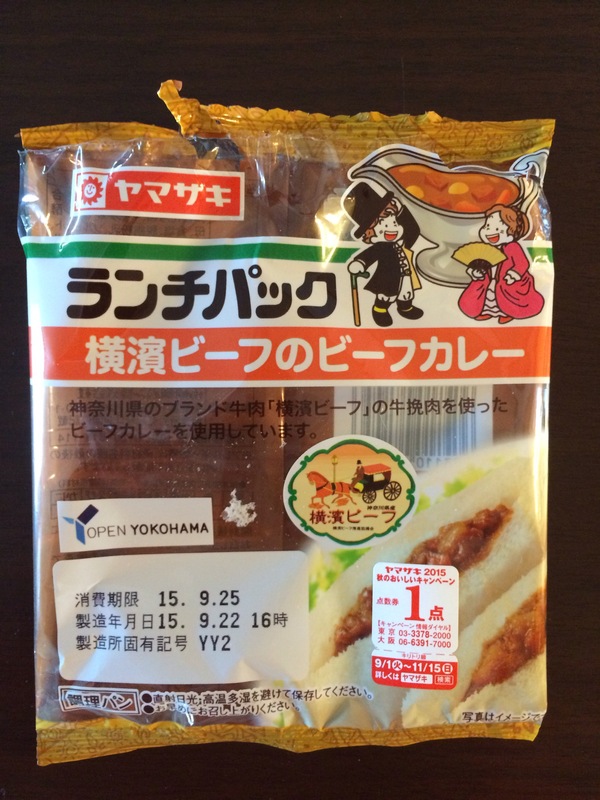 Time for lunch…so, we reached for some savory options that we picked up at the Yamazaki ‘Lunch Pack’ Shop. 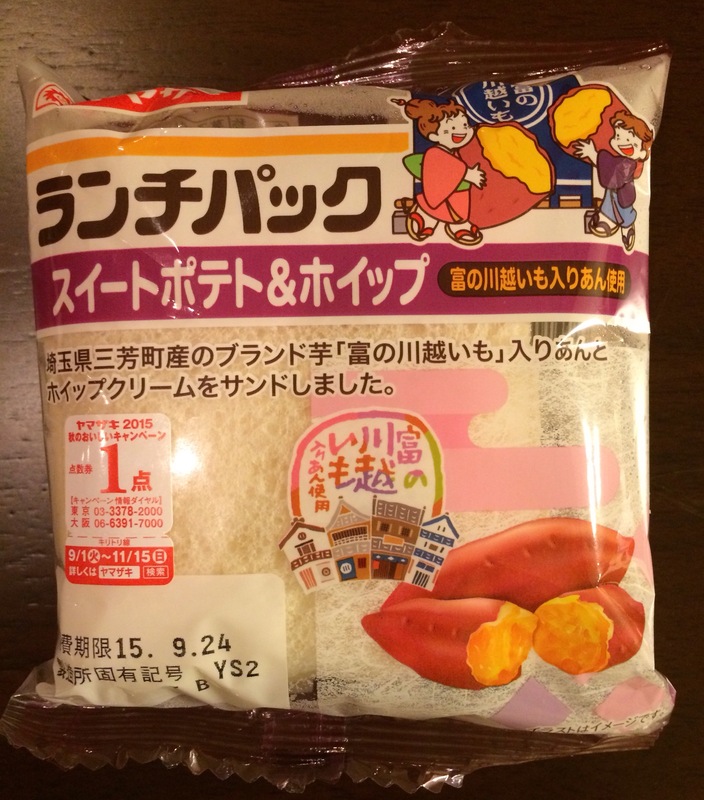 First up today was Sweet Potato. Ok…so, this one wasn’t great. The texture was more creamy than hearty and the flavor was more bland than it should have been. Next up was Beef Curry. If this were grade school, this one would end up with a solid “B”. The curry flavor was prominent and the consistency of the filling paired well with the bread. 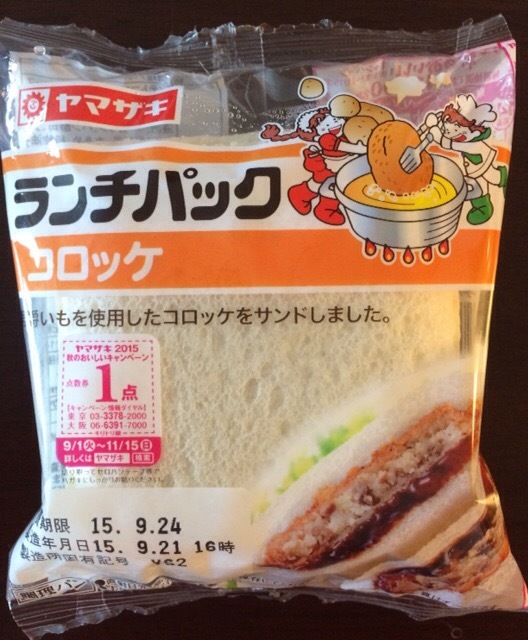 Our final tasting for this post was Minced Cutlet. This one was our favorite of the three (although not our overall favorite for our savory selections…more on that one next time). The meat was plentiful and tasty; very satisfying when toasted up for lunch on a drizzly September day. Be sure to check back soon for our final entry in this series; which will include Beef Cutlet and Potato Croquette. This entry was posted in food, mike on September 27, 2015 by jules453. A couple of the unique options we found at the Yamazaki ‘Lunch Pack’ Shop were suitable for breakfast (and, maybe also dessert). First up was Orange Cream. These brought back memories of 50/50 Bars and Creamsicles. 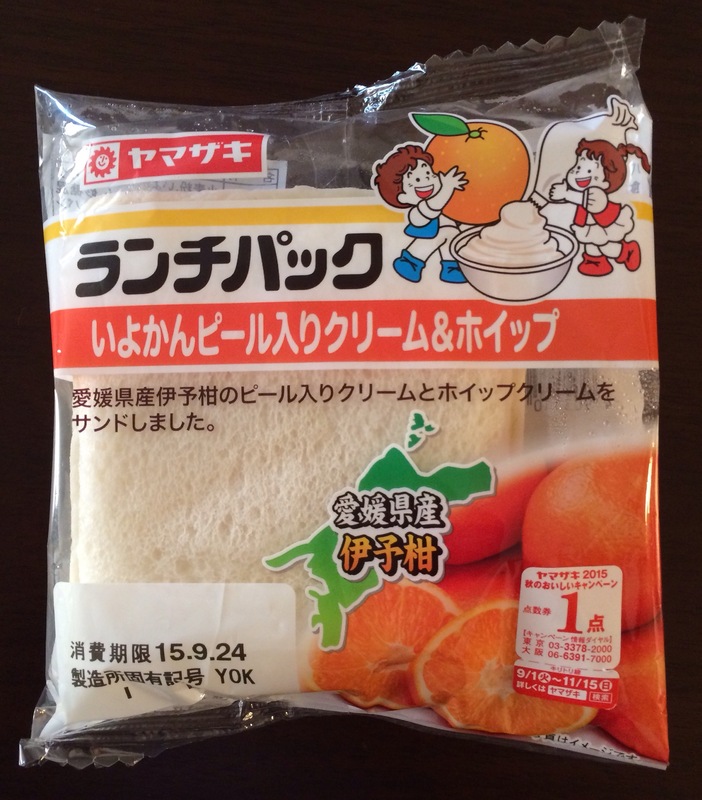 Well balanced, with a not-overly synthetic orange flavor, the slightly-toasted Orange Cream sandwich was enjoyable. The second sandwich was Banana. In full disclosure, banana is very near the top of the list of personal favorite flavors (along with peanut butter, chocolate, carmel, and nacho cheese). But, honestly, this sandwich was absolutely delicious. Simple, authentic banana cream imbedded in toasted white bread…already want another one. Next time, maybe we add a little chocolate sauce and some powdered sugar? This entry was posted in food, mike on September 25, 2015 by jules453. 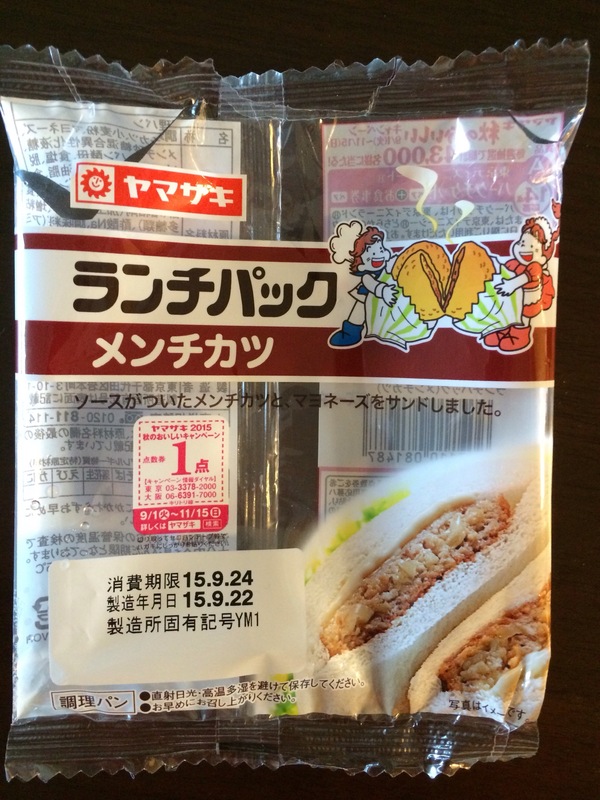 As we have covered previously, uncrustables-style sandwiches (called “lunch pack” sandwiches here in Japan) are exceedingly prevalent. Made by the Yamazaki company and dating back to 1948, these things are available at every convenience store and come in a wide variety of flavors, including many seasonal and limited-time options. 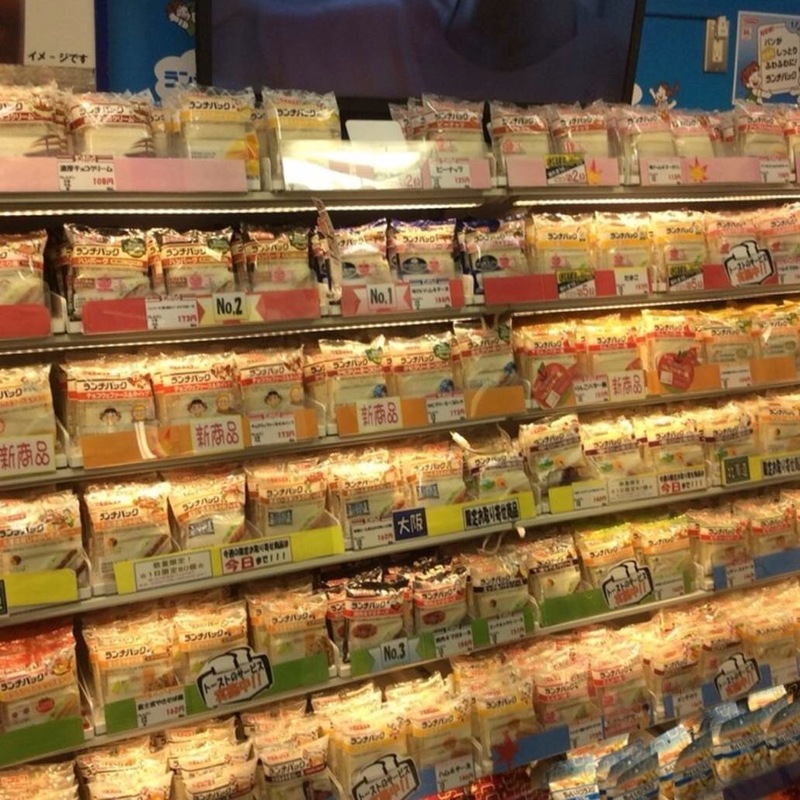 Recently, we discovered that there are shops dedicated to these delectable treats. 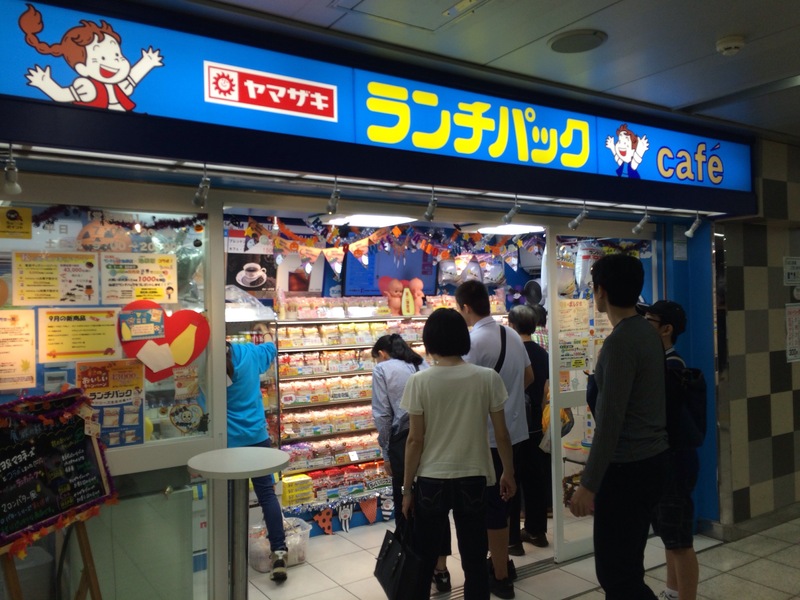 The two nearest us (at least that we could find) are located in the Akihabra Station and the Ikebukuro Station. So, of course, we had to go check it out. Despite its small size, the shop in the Ikebukuro Station is packed with just about every variety of lunch pack sandwich you could imagine…and even some you couldn’t imagine (like spaghetti). As a result, over the next few days, we will cover some of the new flavors we decided to try. This entry was posted in food, mike on September 24, 2015 by jules453. Our third installment is this series takes us to 7-11. 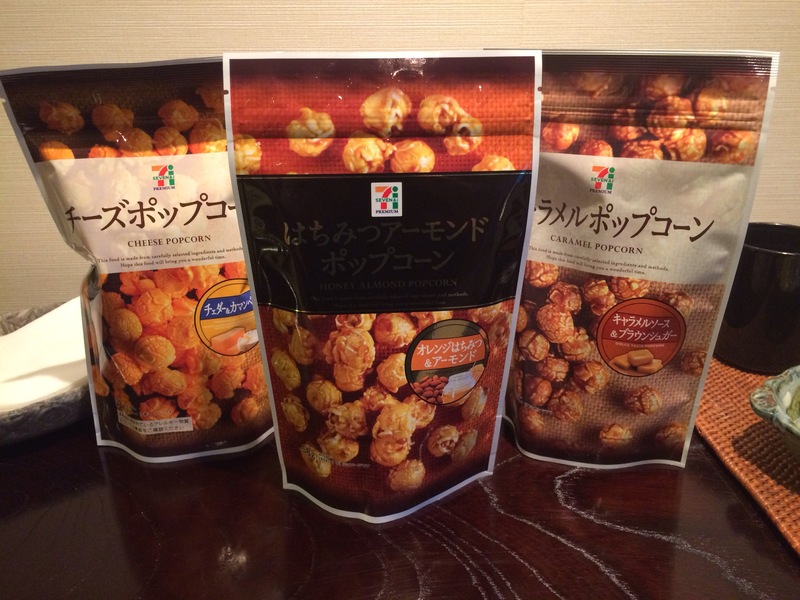 Instead of coming up with a cute brand name or bringing in product from an outside brand, 7-11 has packaged their gourmet popcorn as their own. In Japan, 7-11 is part of 7&i Holdings; which also includes Ito-Yokado (a well-known/higher-end grocery group). As such, their food is commonly regarded as being of quite good quality. In fact, their ¥100 coffee (about $0.88 US) is regarded by many as being surperior to Starbucks. The options available on this particular visit were carmel, cheese, and honey & almond. While the standout was honey & almond, you sure can’t go wrong combining the carmel and cheese together. As expected, they were all of high quality, with a fresh taste and texture. This entry was posted in food, mike on September 5, 2015 by jules453. 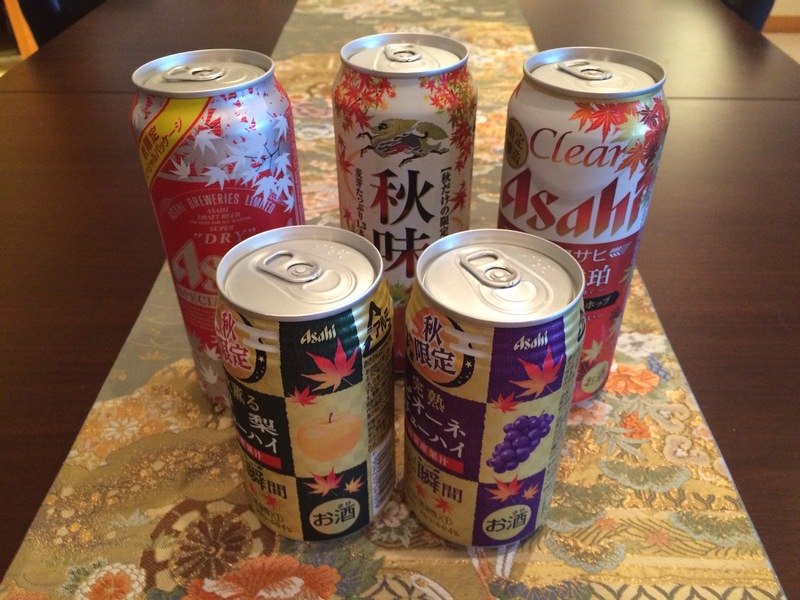 Evidently, the Marketing folks in Japan have decided that it is Fall. Everywhere you go, everywhere you look, it has become fall…except, of course, that it is still kinda Summer. Let’s just hope they have enough stock of these Fall special packaging and flavors to last through … well … Fall. If not, we will surely be seeing the Winter stuff by mid-October. This entry was posted in food, mike on September 1, 2015 by jules453. The second chapter of this saga takes us to SunKus (another big convenience store chain here in Japan). Their gourmet popcorn offering comes with the name brand Pop Combi. While their flavor profiles might seem tame in comparison to a lot of the other gourmet popcorn options, they more than make up for it in execution. 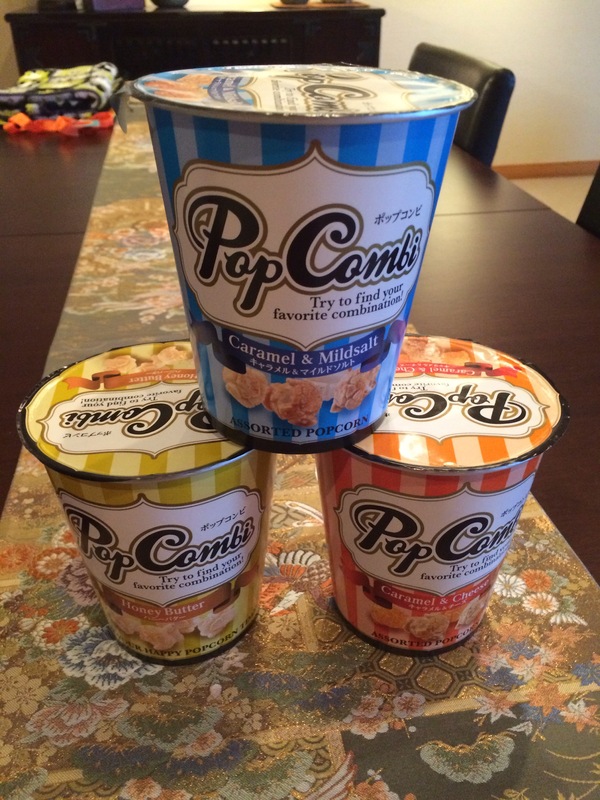 All three of these are quite good, but the Carmel & Mildsalt is the stand-out; well balanced with a nearly ‘fresh-popped’ texture (which is often the biggest challenge for packaged popcorn). This entry was posted in food, mike on August 30, 2015 by jules453.